The track will continue toward the doorway down at the far end, and then curve left, passing in front of the opening. There will be a lift span across that doorway. The edge of Monterey is off to the left (out of the picture). This roadbed and track is complete, and it’s wired up. I’ve declared it ready for operation. 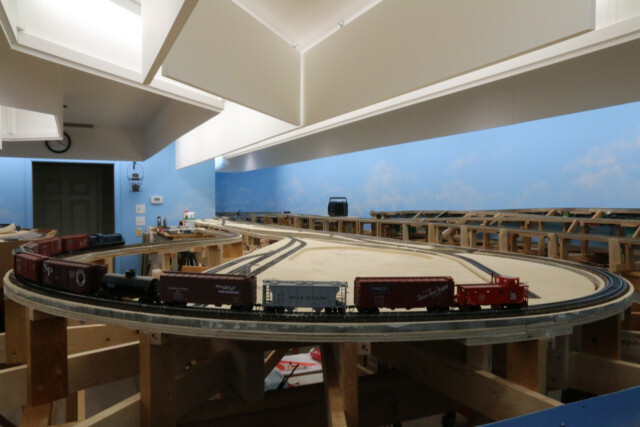 This entry was posted in Electrical/DCC, Roadbed and Track by Jack Shall. Bookmark the permalink.